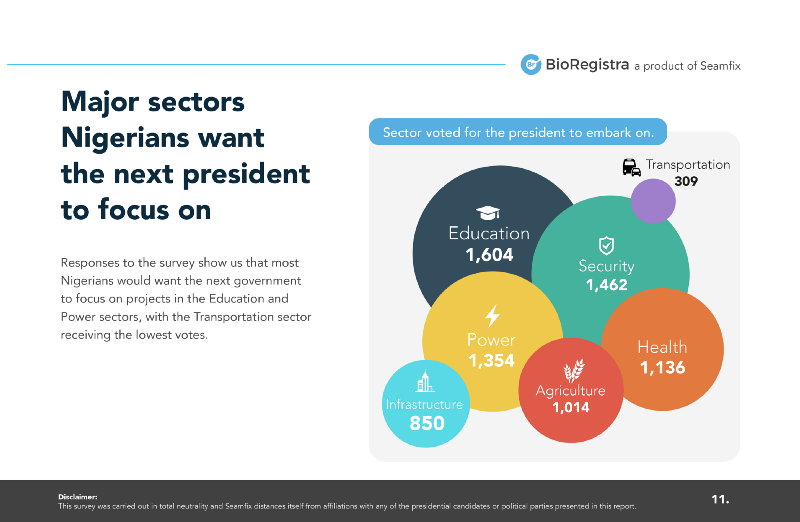 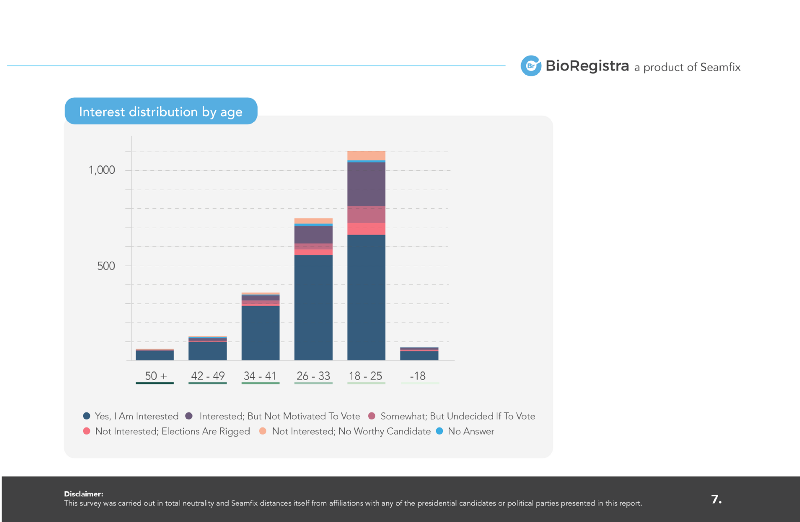 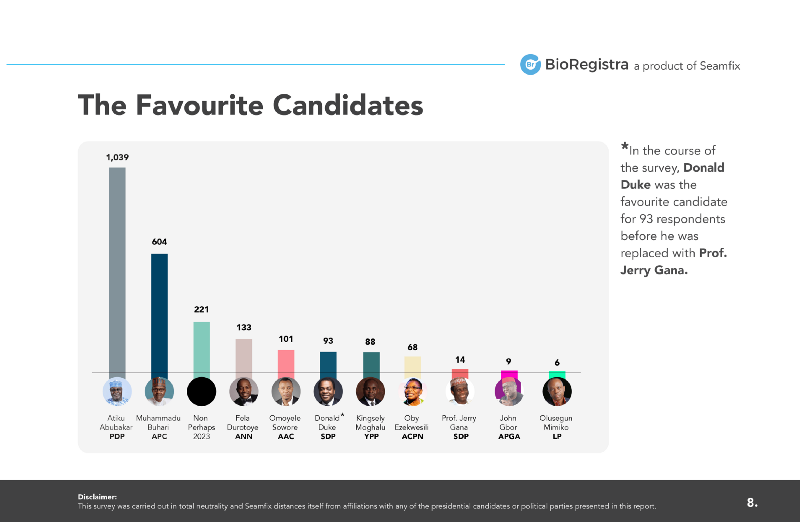 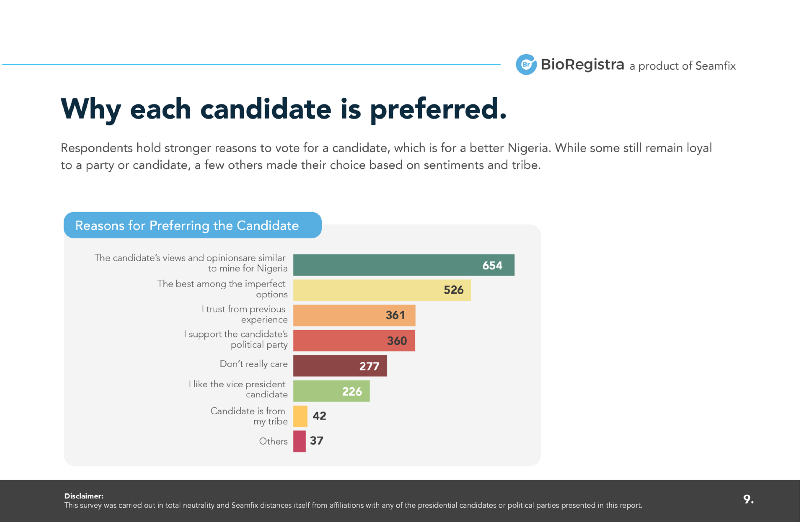 The last two months have seen us at Seamfix conduct a public survey to examine individual preferences as regards the presidential candidates and their expectations for the forthcoming 2019 elections. 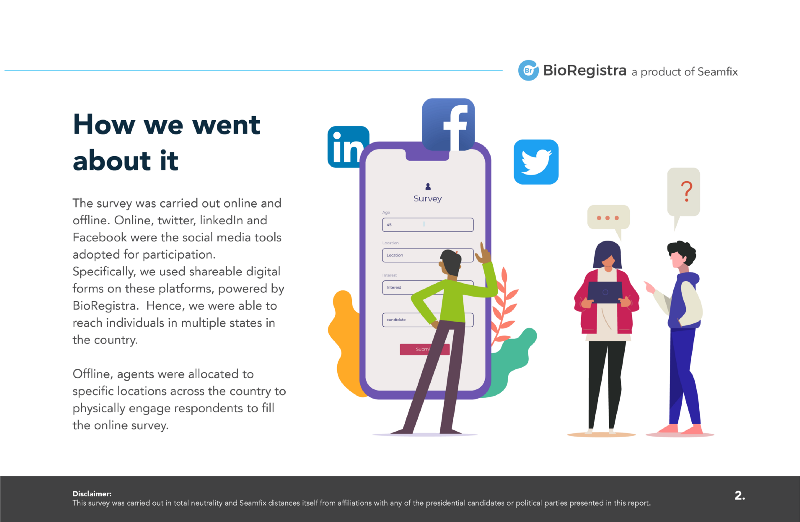 The survey ran from the 9th of November 2018 to the first week of January 2019. 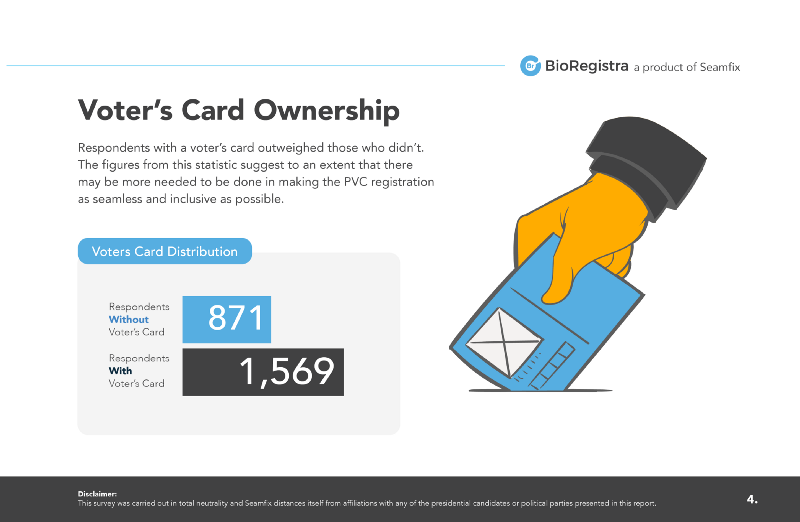 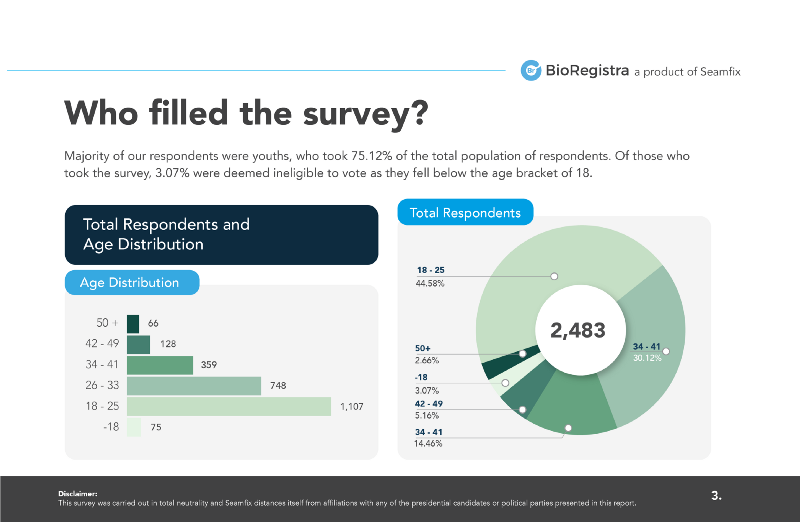 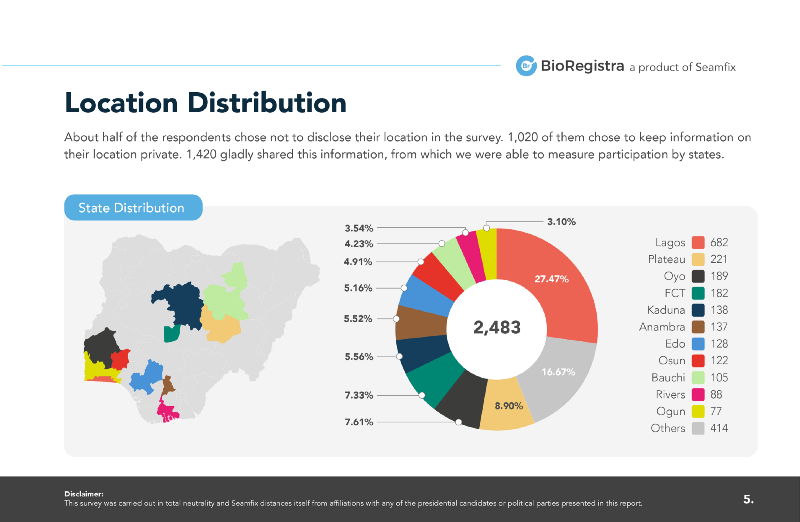 A total of 2,440 Nigerians from different states in the country filled the survey. 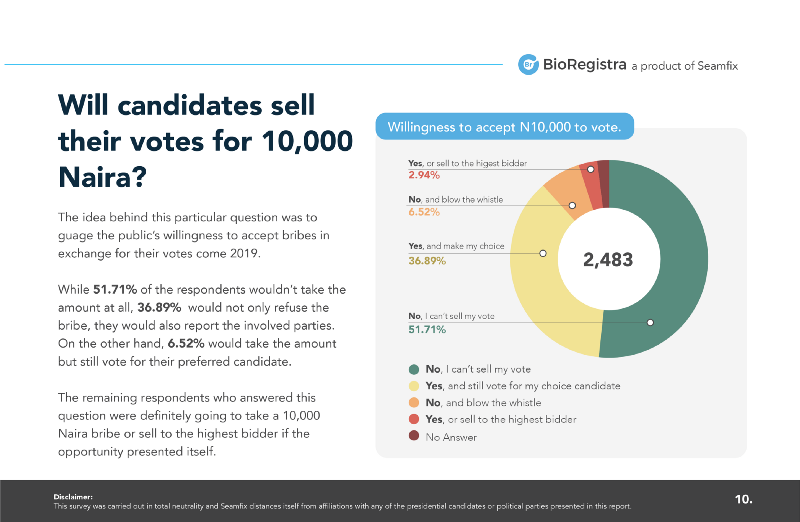 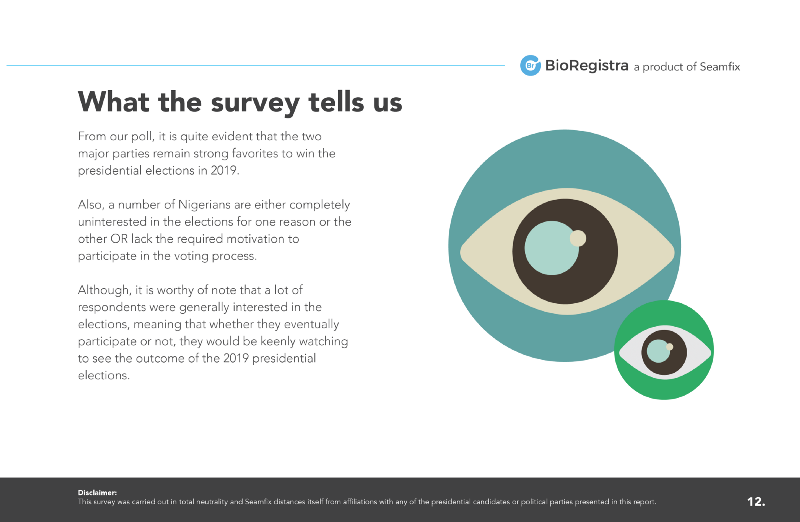 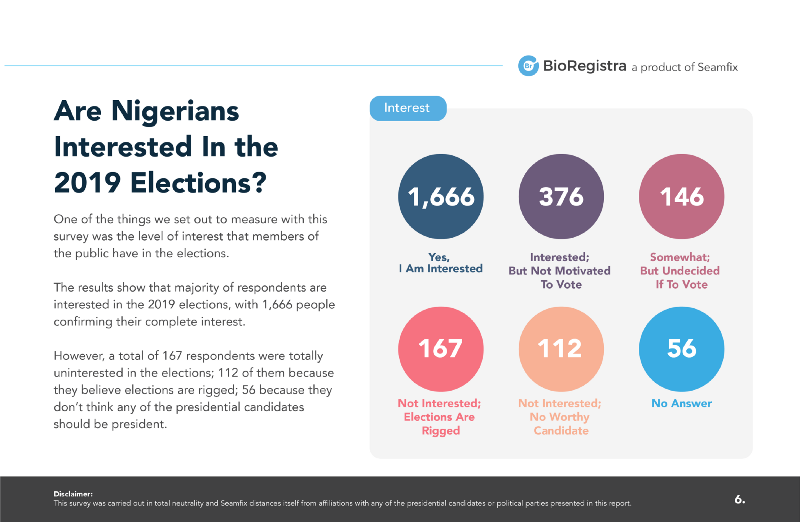 For us, the results of this survey represent the general perception of Nigerians towards the 2019 elections.